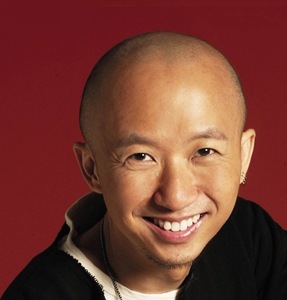 Billy Koh is one of the most instrumental and influential figures in the Asian Chinese-Pop music industry. Founder & formal CEO of Ocean Butterflies, Billy has transformed Ocean Butterflies Music into the leading independent music powerhouse in Asia. Ocean Butterflies operates in China, Taiwan, Hong Kong, Singapore and Malaysia. In his 30-year long music career, Billy has produced more than 200 albums for singers from Singapore, Malaysia, Thailand, Hong Kong, Taiwan, mainland China & the US. He is the mentor who has discovered & produced many successful Asian acts including Kit Chan in 1994, A-Do in 2002, JJ Lin in 2003, BY2 in 2008 and DON in 2012. Since 2007, Billy has spoken at several international forums including: 1) Peking University master class – Beijing, China (2007) 2) MidemNet - Cannes, France (2008) 3) Canadian Music Industry Mission to Asia - Tokyo, Japan (2008) 4) Canadian Music Week - Toronto, Canada (2009) 5) Asia Pop Music Festival - Hong Kong, China (2011) 6) MacWorld Asia – Beijing, China (2012) 7) CISAC Seminar on Copyright – Beijing, China (2014) Billy quit CEO of Ocean Butterflies in 2014 to pursue his new business, Amusic Rights Management. Born in Singapore, Billy now works and travels in between Los Angeles and Asian cities.